With its commitment to providing clients the highest standards of security, availability, processing integrity, confidentiality, and privacy, Systemates has recently received its SOC 2 TYPE II Report. Projectmates / Systemates, Inc. Co-Founder Varsha Bhave has been recognized as one of the most influential women in the construction industry for her leadership in developing Projectmates construction program management software. Constructech magazine honored her as one of only six 2016 Constructech Mavens. Tuesday Morning is an upscale, deep discount retailer specializing in closeout home goods. With over 800 stores and many more planned for the future, the company has chosen Projectmates Construction Program Management Software to consistently deliver projects on time and under budget. Systemates, Inc. has relocated to an even bigger, better office, strengthening the company's ability to develop and support the industry leading construction management software, Projectmates. What's all the fuss about cloud technology? More & more facilities owners are using cloud software to manage millions of dollars in new construction, renovation, and infrastructure upgrade projects. Mark Alpaugh and Kaely Culbertson speak at the TAPPA Conference on cloud technology for improved project delivery in higher education facilities. Core States Group (CSG) is an Integrated Program Delivery provider that empowers clients with a full suite of services that encompass architecture, engineering, program management, development and construction services. 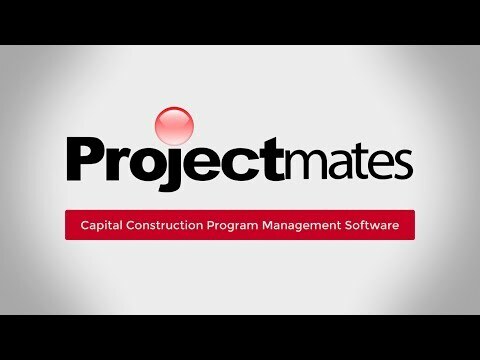 To enhance its ability to manage immense multi-site programs, CSG selected Projectmates Construction Program Management Software to standardize their processes and maximize efficiency.